The following Categories of Membership are available. These are determined by selecting the description which best describes your standing on your professional path and are self explanatory. Any dental student registered as such with the Statutory Council from the first year of undergraduate study for the duration of their undergraduate status. A student member shall be automatically transferred to any of the applicable categories upon registration as a dentist with the Statutory Council. Any dentist in full time salaried employment in the public sector as a community service dentist. A dentist registered by the Statutory Council and who is in the second year after graduation whether in private practice, full-time salaried employment in the public or private sectors or in full-time employment in any administrative capacity in the private sector. A dentist registered by the Statutory Council and who is in the third year after graduation whether in private practice, full-time salaried employment in the public or private sectors or in full-time employment in any administrative capacity in the private sector. A dentist registered by the Statutory Council and who is in private practice, including a practitioner receiving remuneration for services (whether from a private practitioner employer or private hospital or commercial health care provider). A dentist registered by the Statutory Council and who is in full-time salaried employment in the public sector, full time postgraduate student at a dental faculty/school or a member in full-time employment in any administrative capacity in the private sector. 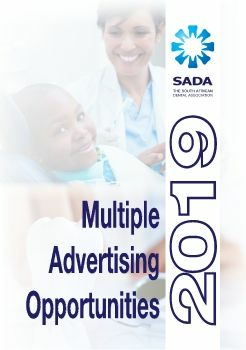 A dentist registered by the Statutory Council who has turned 70 years of age before the start of the SADA financial year (1st October) of which the application is made, where the member has been in SADA membership for 5 full years directly prior to applying for Emeritus in order to qualify for Emeritus Membership. An overseas domiciled dentist who was previously a Member of the Association. Any Private Practitioner, Full-Time or Newly Qualified Member who is no longer in active practice. An allied oral health care professional registered with the Statutory Council; a person who is not registered on the register maintained by the Statutory Council but who: Is actively engaged in a field allied to dentistry, or falls into such other category as the Board may from time to time agree upon. The following Membership Packages are available. CORE Membership is the entry level of Membership. EDUCATIONAL and ADVISORY are additional packages which may be added to CORE Membership – these two packages enhance your membership experience as indicated in the descriptions of benefits below. IADR membership (full time academics only). Assistance with medical aid queries and unresolved issues.